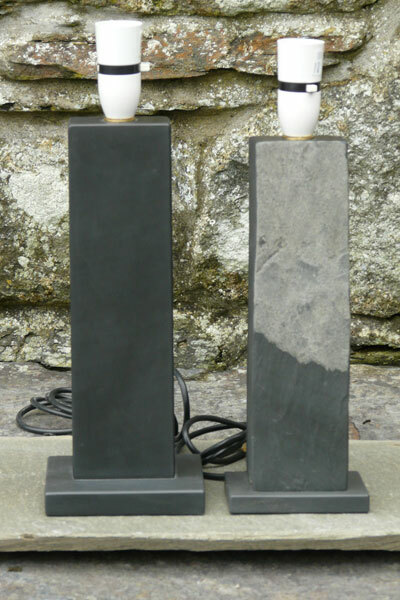 Primarily using Welsh slate we design and make beautifully finished heavy bookends to safely hold your books, rustic or highly polished and decorated lampbases, simple slate vases to show off your flower arrangements, and fabulously smooth and sophisticated cheeseboards and tea light holders. 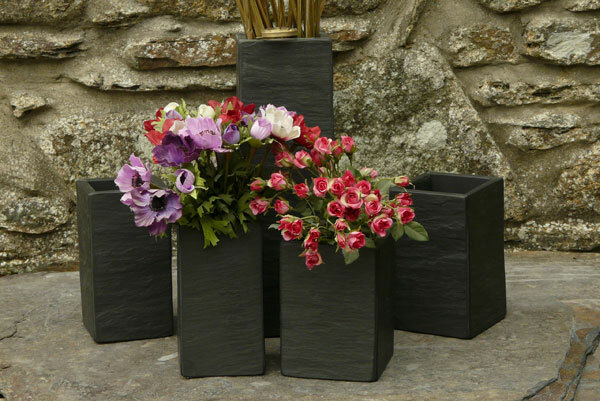 We also have unique - one off Welsh slate bowls which are a work of art in themselves and a range of tableware in stock all ready to be gift wrapped and personalised if you wish. 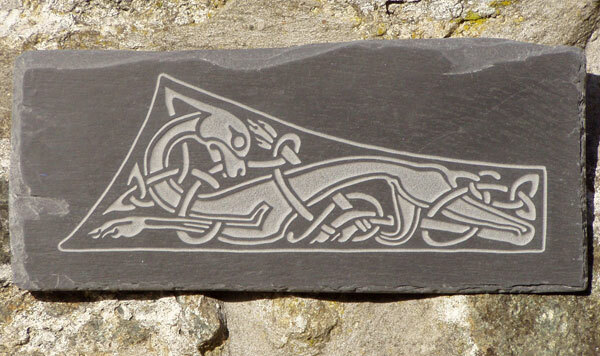 We strive to make items of high quality that show off the beauty of Welsh slate. 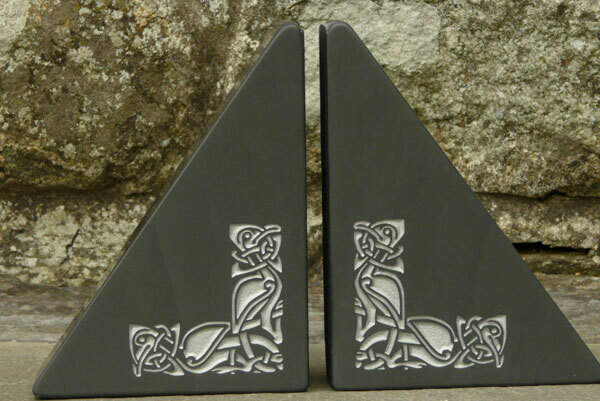 We do not produce high volume items and with commissions we like to work with our customers to produce something they will be proud of. See testimonials to judge whether we achieve our aim. 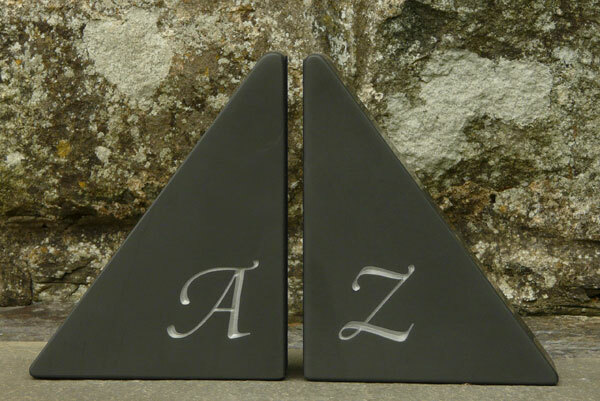 Prices for all our craft items depend on size and additional artwork. 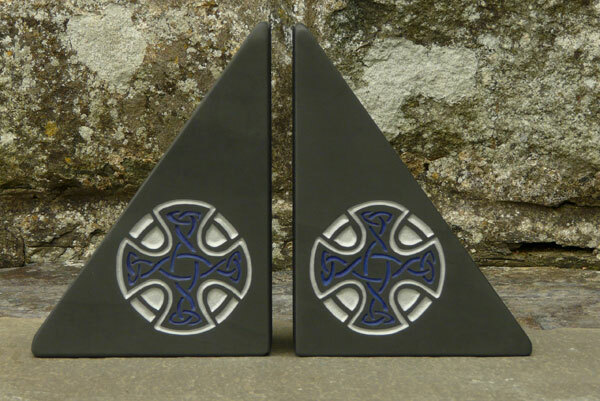 Each piece is treated individually - so we don’t have standardised order forms. 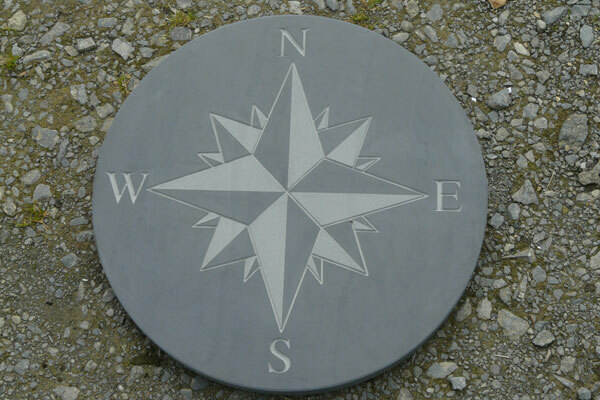 Although we usually have a large choice in our showroom, you may like to order a personalised piece.